A little over a year ago NuNorthern Soul brought you BJ Smith’s gorgeous cover versions of two Hip Hop classics. Last time out he tackled Mos Def’s ‘Umi Says’ which Gilles Peterson proclaimed as the ‘soundtrack to sunsets for years to come’ and The Pharcydes ‘Runnin’ Away’; this time he is bringing his unique touch to the recently-reunited Outkast. Andre 3000 and Big Boi are hitting the festival circuit during the summer; this celebration of their greatest work should tide you over until they get back into the studio. And would they approve of these two radical re-interpretations of their music? We like to think so, see what you think. Cover versions are always at their best when they take the original song to places it never went before, which this version of Hey Ya! most certainly does. Imagine Adventure Time’s Jake and Finn bursting out into song and what comes out of their animated mouths just happens to be a cover of Outkast’s most enduring hit ‘Hey Ya’. If sunshine could be captured on vinyl, it would sound like this. Starting with an acoustic guitar, Hey Ya! builds into a rich collage that goes through folk, onto balearic and bounces to a close with a reggae groove. It is best enjoyed at sunset or sunrise with a cool drink in hand. Prototype is made for Mr Smith’s style; essentially it always was a wistful, dream-like folky number. However, after a fairly faithful start, things eventually end up in a very different place as this version becomes a fuller, more wholesome experience. BJ Smith takes it right out of Atlanta folk territory and into Philly Soul with brass stabs, string sweeps and keys supplementing the already gorgeous bassline. Extra harmonies and playful guitars also add to the heady, ’70s style. Later in the track it is the 1990s that provides the inspiration as the familiar brass riff from the early Outkast classic SpottieOttieDopaliscious makes a very welcome appearance, a moment any hip hop connoisseur will relish. LEFTO, Belgium – Prototype is the one! STEVE COBBY, Fila Brazillia, UK – Interesting, I like the interpretations. Not what I expected. Very easy on the ear. DOM SERVINI, WahWah45, UK – the new BJ Smith is outstanding! Will be smashing that at Southern Soul this year!!!! QUNICY JOINTZ, Germany – Very nice. 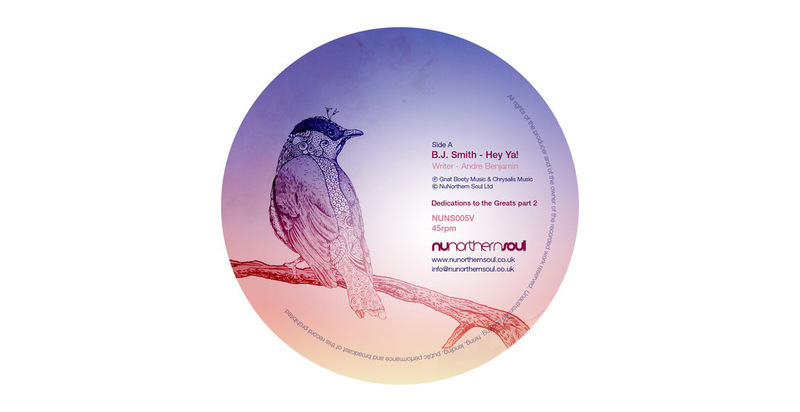 KET SHAH, Mucho Soul, Back2BackFM, UK – Prototype is incredible. EMA NOSURAK, UK – BIG BIG BIG !!!!!! Have passed over to Craig Charles’ radio team.. I’m supporting ! ANDY TAYLOR, We Are Sunset, UK – These sound great. Ben’s a top musician – Every project he gets involved with is pretty special. MARK MILZ, Further In Fusion, Germany – Lovin’ It!!! MARK ‘CHINNEY’ DAVIS, Cowbell Radio, Alfesco Festival, Blackpool, UK – Got to admit when I saw ‘Hey Ya!’ my eyes rolled, refreshingly good though and will defo play next time I am on air and give it a big plug. PAUL KAMINSKI, Birmingham, UK – It’s really hard to pick a favourite out of these 2 as they are both just awesome! I’ll definitely be playing these all summer.